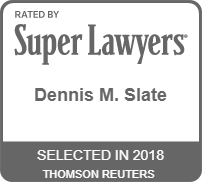 At Slate & Associates, Attorneys at Law, we have been named one of the top family law firms in Houston by H Texas Magazine and listed as both one of the regions Super Lawyer® through our exceptional case results. 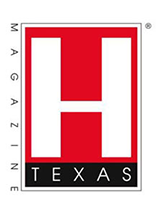 Attorney Dennis Slate has also been selected as a "Top Lawyer" by the Houstonia Magazine. 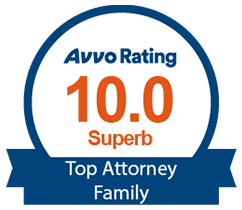 We consistently win cases in family law against the large downtown law firms, and we are proud of our ability to represent clients with a high level of skill and at a lower cost than these firms. Having served as an Army officer for 25 years, Founding Attorney Dennis Slate approaches divorce and other family law cases with commitment, discipline, and the intention to win for clients. We have great insight into all family law matters involving members of the military. Our team understands how critical the final outcome in your divorce will be to you, your children and your finances, and we address each case fully committed to pursuing your objectives and protecting your rights. Not all law firms that practice divorce law are created equal. We are proud to provide unmatched client care and service to all of our clients, and you can have confidence that we will aggressively pursue the result that is in your best interests, whether in court or in negotiations with opposing counsel. We always treat each client with the care, dignity and respect they need and deserve. Maria Hernandez has 20 years of paralegal experience in family, personal injury, and criminal law. Maria has obtained an Associate Degree in Applied Arts from Houston Community College and is currently working on her Bachelor’s Degree in Criminal Justice from the University of Houston Downtown. She regularly assists Attorney Simms with preparation of documents for hearings and trials. She appreciates the opportunity to assist clients who are navigating their complex family law and CPS defense matters. Clay Riese joined the team at Slate & Associates, Attorneys at Law, as an experienced family law paralegal. His career goal is to pursue his passion for helping clients succeed in the family law court systems, working alongside Attorney Gupta-Brietzke. Clay prides himself on his unwavering dedication to assisting both his teammates and the firm's clients. He is a proud Texas A&M graduate from the 2007 graduating class. Our attorneys have access to high-quality resources to assist in the divorce process when necessary. We know all applicable state laws regarding geographic restrictions (relocation), how the court will respond to a request for a modification of child support, modification of child custody, or modification of spousal support, as well as how to use the legal system in the enforcement of court orders. Regardless of the factors involved in your case, we encourage you to meet with us to discuss your situation. If you have a legal issue related to matrimonial law, you can benefit from the representation of the Board-Certified family law specialists from our firm. If you have been falsely accused, we can help you fight back. Furthermore, if you are suffering from the results of parental alienation, we should review your situation without delay, as the court may be willing to step in to protect your parental rights. Lastly, we are well-versed in the adoption process and take great joy in helping those who are involved in an adoption. To find out more and to obtain legal guidance, contact Slate & Associates, Attorneys at Law today! 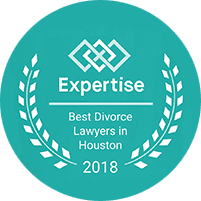 Call a Deer Park divorce lawyer from our firm for the high level of legal representation you need in all divorce and family law matters.